One of the most popular Jittery Cook recipes is the Greek Giant Lima Beans. The Tomato Baked Lentils take advantage of all the delicious flavours in the lima bean dish. 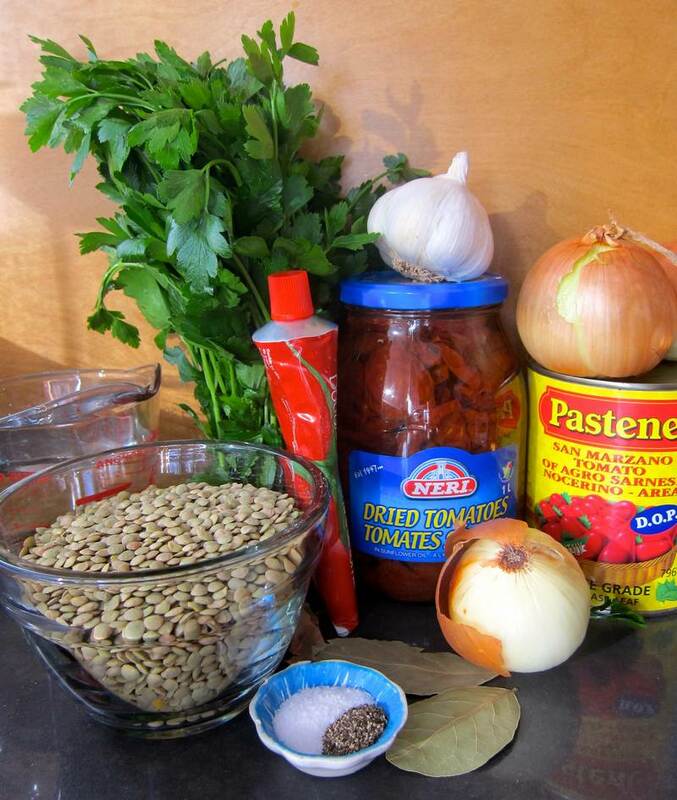 Tomato Baked Lentils are excellent as a side dish or as a main. Serve with quinoa on Passover or Freekeh for a delicious, nutritious high fiber and high protein meal that you can enjoy hot or cold. Preheat oven to 350F. 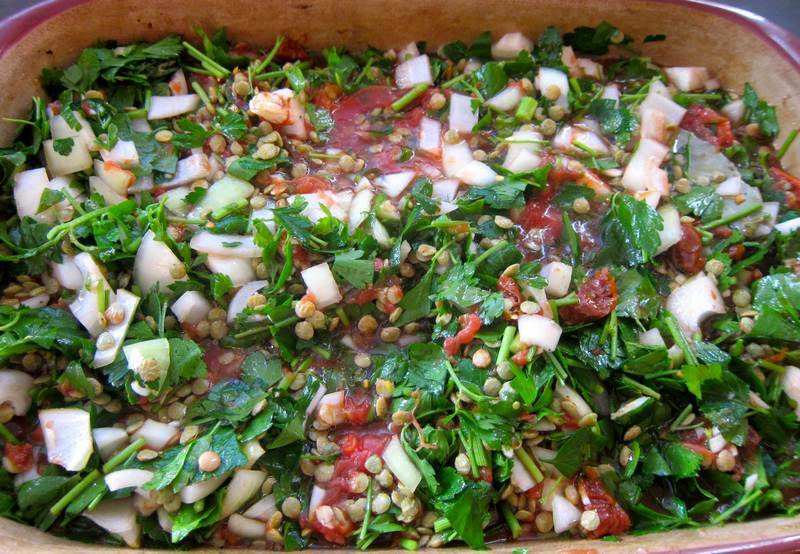 Combine all ingredients in a large casserole dish. Cover and cook for 90 minutes or until softened. Freezes well. Eat right away or refrigerate overnight to allow the flavours to blend. Serves 8-10. Bring to a boil and simmer for 20 minutes. Let stand 5 minutes. Serves 4. Do you know the many benefits of freekeh: from weight loss to eye health? Web MD reports that consuming fruits and veggies may be related to longevity. Looks and sounds delicious…can’t wait to try it…thank you Holly! Thanks Peggy Ann! Looking at the photos make me eager to make it again. That’s a good sign! I’ve never baked lentils before! This looks so flavorful and healtful, I love it. Thanks Darya, I’ve been fond of lentils since I was a hippie teenager learning to cook healthy, satisfying food. Check out all the other JC lentil recipes for more inspiration. I like the combination of lentils and tomato. This recipe would be a nice change. Jovina I always like your comments! Thanks for checking out my jittery efforts!! 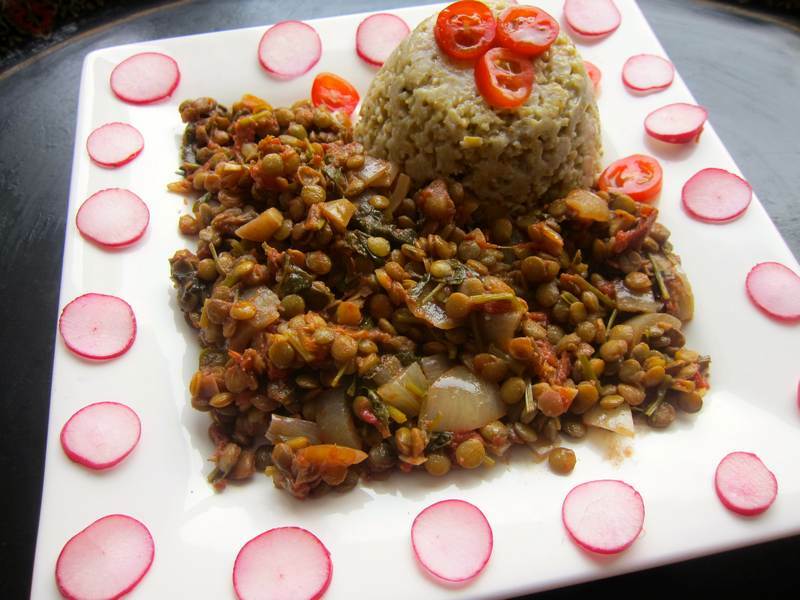 A lovely lentil recipe. I love tomatoes with lentils and this recipes sounds delicious!